I love vintage looking newborn photography props! I confess to having a vintage suitcase collection and I adore Annie Sloan chalk paint! 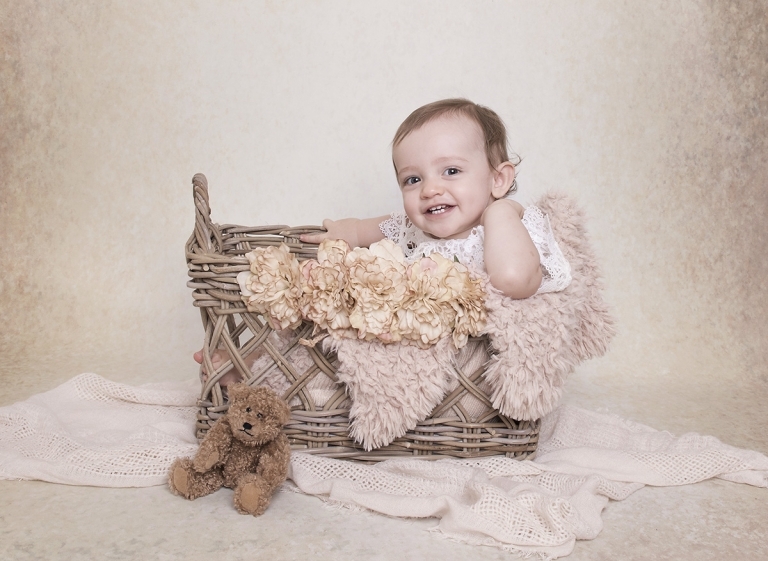 Put these things together and add teddy bears and macrame, flowers and a touch of creativity and you’ve walked into Bee Cherished Photography’s studio. Welcome to my beautiful boutique studio located on Brisbane’s Northside. This is my space I love to work and hope you feel completely at home and relaxed to visit. It’s true I love timeless images and they will always be my favourite portraits especially for wall art. However during your session I do include a prop and these are some of my very favourite. Bee Cherished Photography is home to the most unique vintage inspired newborn photography props. I am a creative and I love to cook and craft. It drives my husband insane at times but I’m totally convinced deep down he really does love suitcases and building me boxes to paint! I’m sure he secretly loves my crazy ideas! So what are my favourite things? I could write forever about my favourite colours. Dusty pinks, soft neutrals, chocolate tones, baby blues and muted grey look so amazing with creams and delicate newborn skin. Rustic props, textures and flowers can make each image so personal. Bring in a family teddy bear or choice one from the studio and add a sleepy hat and you’ve created an image that will bring tears to your eyes. Tears of joy and you’ll love looking at your photos forever! Whilst I have an amazing display of gorgeous newborn photography props on display safety comes first. Your newborn baby’s safety and comfort is always my first priority at all times. I believe every baby is born with a personality and have favourite comfortable positions which I respect. Just like we do, I love to sleep on my tummy and my husband is most comfortable sleeping on his back. Babies are no different and I’m guided by each baby and what is comfortable and safe when selecting a prop to use. I will always use a parent for support during all prop photography and at times I will composite photos together. I will never hang a baby in a prop or use unsafe methods to create any photo. What is a composite photo using a newborn photography prop? 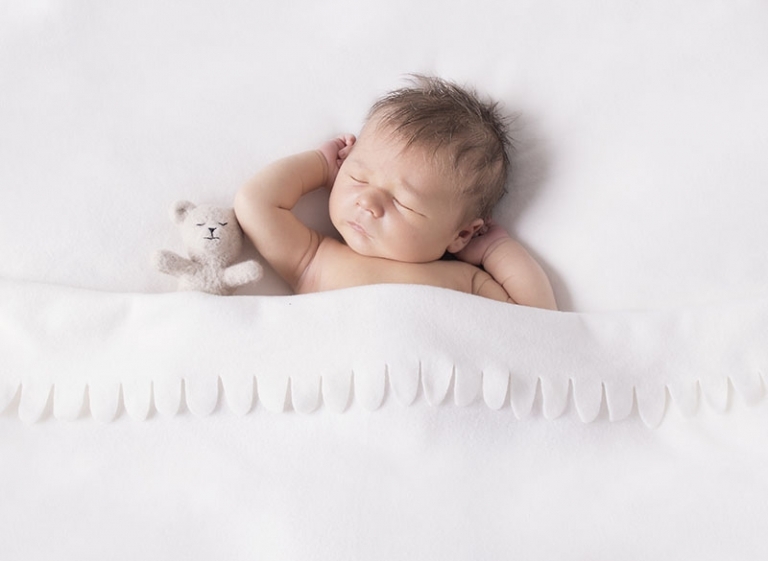 A composite photo using a newborn photography prop is an image using more than one photo. The aim is to keep your baby safe without risk. This is an example of using 3 photos with the assistance of Dad. Please notice how close the father is at all times and for this prop it’s the only option to create a beautiful photo using this vintage set of scales. Many of the photos I take using newborn photography props will have editing to remove parts of parents who are always very near by. Please call for a chat on 0412 996 891 or send an email to tracy@beecherished.com for availability. I’m fortunate to have returning customers and referrals so I tend to book months in advance. I recommend booking early. I already have bookings right up to May 2019. If your baby has already arrived I will always try to fit you in as soon as possible.